iPod nano case individually handcrafted by Echo)))shop in the U.S.A. This case, designed to keep your iPod nano (Height: 3.01 inches (76.5 mm); Width: 1.56 inches (39.6 mm); Depth: 0.21 inch (5.4 mm); also known as "7th Generation") protected from scratches and dust, is made out of cotton woven in a stylish brown-and-white herringbone pattern. It is lined with quilted and padded, unbleached cotton. 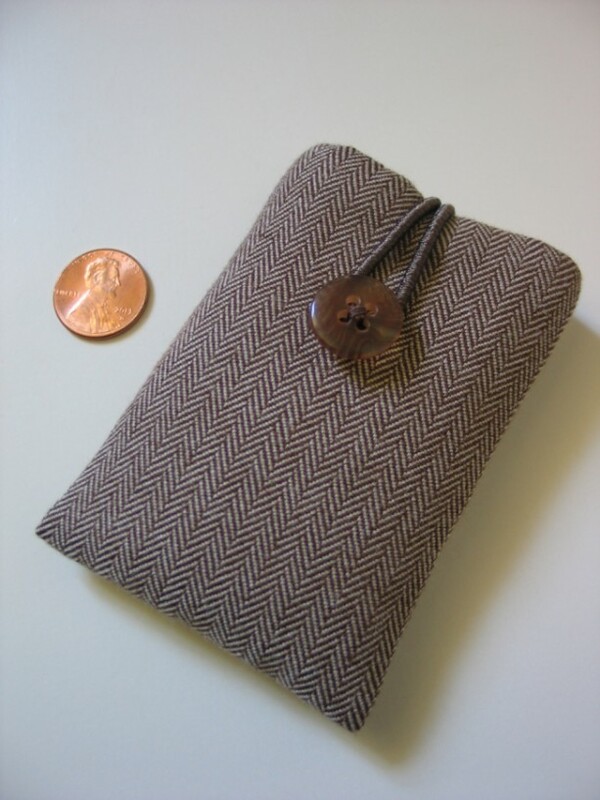 The closure of this case consists of a marbled button and matching elastic cord. The button has been sewn on by hand for a superior look and finish. Every Echo)))shop iPod nano case has been individually made by me. Ships from California.